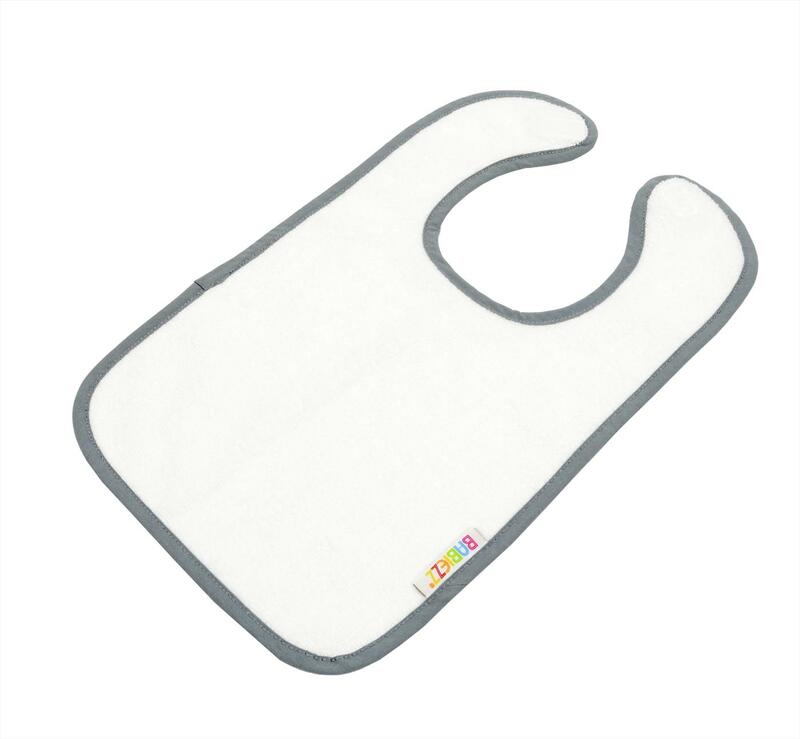 The Babiezz bib is made of super soft cotton for when your child spills, drool or spit. The cotton is extra soft. May go in the washer and dryer and remain even after frequent washing colourfast and beautiful. Available in many vibrant colour combinations. The A&R Towels Babiezz™ Baby All-Over Sublimation Baby Bib is made of polyester on the front and super soft cotton on the reverse side. The front can be fully printed with sublimation designs. May go in the washer and dryer and remain colourfast and beautiful after frequent washing. Do not tumble dry. Do not dry clean.